Dr Henderson Downing is a Sessional Lecturer in the School of Arts and Creative Industries. He has taught modules on English Literature at LSBU since 2012. He has also taught at Birkbeck, University of London and at the Architectural Association School of Architecture. He is a regular contributor to the journal AA Files where he has published several articles on art, architecture, film, and literature that reflect his interdisciplinary research interests. Henderson’s research interests cover 20th and 21st century poetry and prose; ecocriticism and the ‘new nature writing’; modernism and its legacies; representations of London in literature and film; spatial practice and spatial theory. 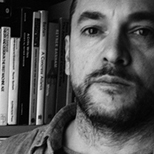 His current research focuses on the relationship between figures of marginality and melancholy in contemporary British landscape writing. He is also completing a monograph on psychogeography and the city that analyses the intersection of literature and urbanism in the work of Iain Sinclair.